Stock product - detailed vector illustration - Isometric People Collection - Soccer 02 - created by Aurielaki. Image formats EPS AI JPG. SKU: Soccer-02-People-Isometric-AurielAki. Category: World Cup 2018 Russia Soccer. 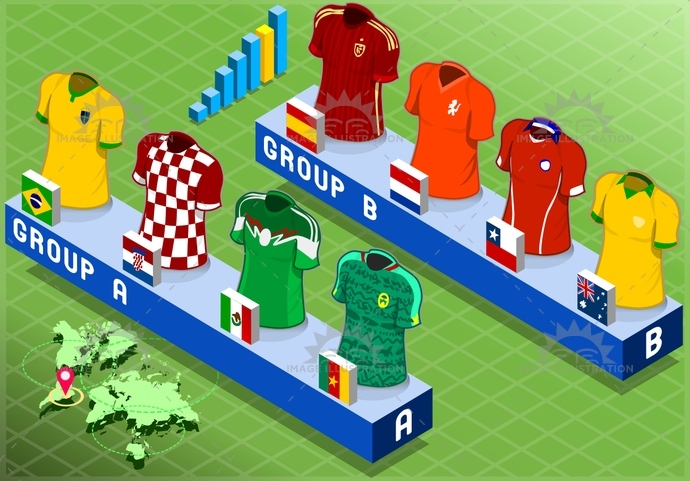 Tags: apparel, australia, background, blank, brazil, cameroon, championship, chile, collection, competition, croatia, cup, field, football, game, group, isolated, isometric, mexico, netherlands, shirt, short, soccer, spain, sport, t-shirt, tshirt, uniform, world.